That is the inspiration behind the SOVEREIGN-X from Police. How true that describes the design elements of this timepiece. The Police SOVEREIGN-X is strong, bold, and striking with stainless steel with chronograph features and with hands and dial highlighted in contrasting colors of gun, white and red. 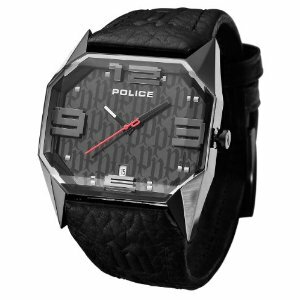 The DEVOTE timepiece from Police has a clean, bold classic design. The DEVOTE imparts strength and the no nonsense and no-fuss lifestyle you command. The matte gun dial and gun bracelet underscore that same understated rugged simplicity. 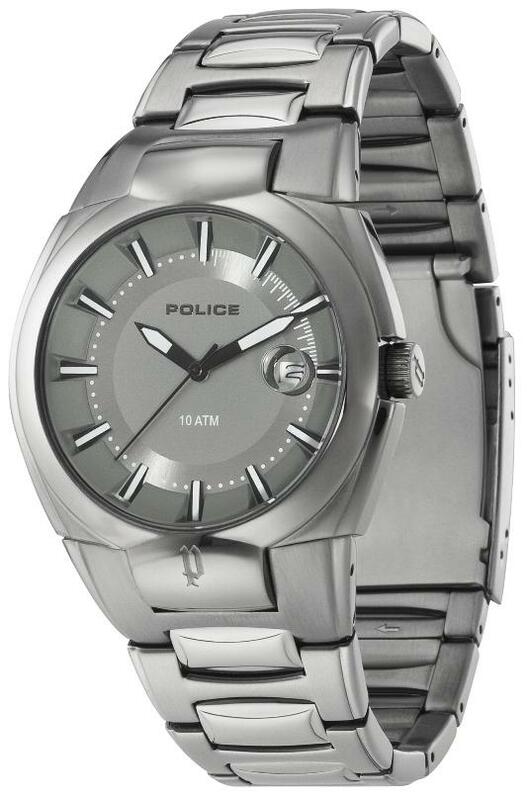 The Police DEVOTE features three hands and date in the 3 o’clock position, along with the ‘P’ logo etched into the bracelet. This big, bold, badboy was made to intimidate other watches. The inspired watchmakers who create today’s popular Police watches have never looked to other brands for inspiration. Instead, they look to the people who wear them. In less than thirty years, the Police brand has become wildly popular with young people around the world. 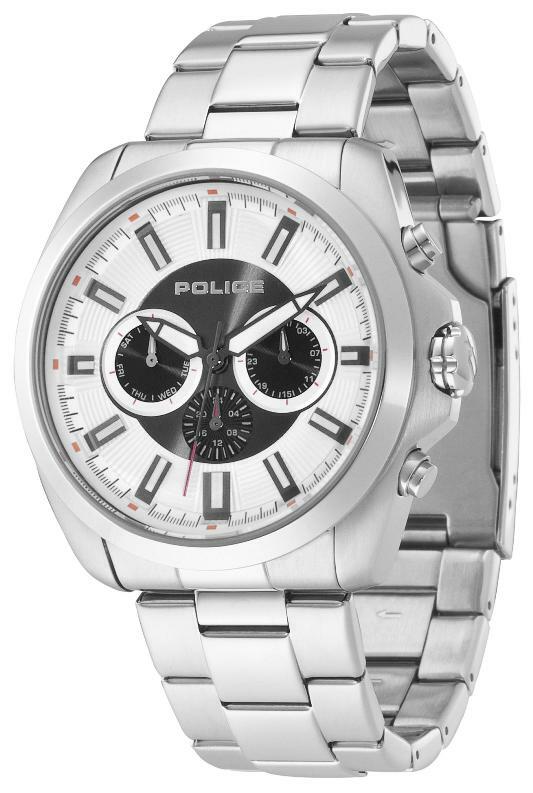 Police watches have always appealed to people with a strong sense of their own individuality. 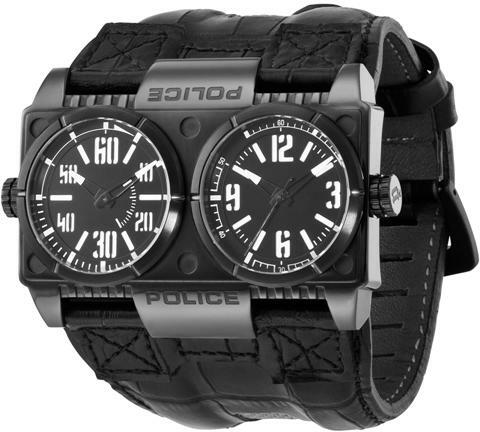 This is probably why the new Police Dominator has become one of the most popular timepieces in the company’s history. Nobody actually needs a titanic 62.5mm x 46mm timepiece with two massive side-by-side dials. Nobody actually needs a Ferrari or a Hummer either, but that doesn’t stop people from desiring and purchasing these iconic grand statements. The Police Dominator is all about making a statement and leaving your mark on the world. You simply can’t ignore the Police Dominator. The two-hand left dial is a highly readable 60-minute timer, while the three-hand right dial registers the time in twelve-hour increments. Together, you’re ready for anything with this unique, over-the-top timepiece. Attention to detail is evident everywhere you look on this massive watch. The stenciled numerals and indices are laser cut, revealing a separate white background beneath. This creates a three dimensional effect that makes the dials clearly readable in almost any light. The rugged Dominator is available in brushed gunmetal stainless steel or in a stealth all black finish, and the watch is water resistant to 330 feet. The ultra-wide black crocodile textured strap, with its convenient buckle clasp closure, fits comfortably on your wrist while commanding attention in a way that few other watches can even approach. Beautiful hand stitching and net fabric inserts on the band accentuate the Dominator’s unique appearance. 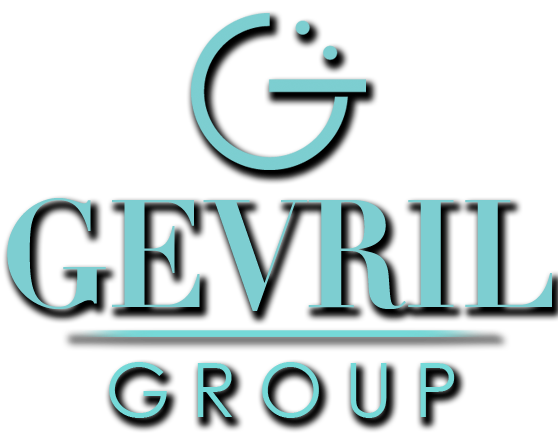 The watch features two independent precision quartz movements and carries a two year warranty. If you’d like to make your own grand statement with this unmistakable timepiece, contact your authorized Police retailer to reserve your Dominator today. The new VECTOR by POLICE, with its sharp design and bold angles makes a statement of power over the force of time – wherever the urban warrior chooses to be. A thick black leather band features an embossed gothic ‘P’ logo and blends into one of two structured watch faces: a black gunmetal bezel with an iridescent black watch face and a steel bezel with a white iridescent face. Each is formed around strong angular metal shapes and set off by imposing bold numerals at the 12, 3, 6 and 9 positions with a date at the 6 o’clock point and a striking red second hand. It features a stainless steel back, a crystal casing and quartz movement. The background stands out, and effortless – in the true POLICE fashion, as the famous gothic ‘P’ comes in and out of sight as the watch moves with the precise motions of the urban dweller.